I am at the Gunite stage now but have taken pictures all along the way and will post. Here is the original layout . A couple of items were moved during layout to maximize space. Here are a couple of pre dig and form setting pics. Using Photobucket. Lets see if this works. I dont like the photobucket approach. So tips and pointers of how most are resizing and posting would be appreciated. Correct. Resizing is not practical as the photos quickly become to hard to see properly. Other than linking with a photo sharing site, a donation to the site gives ample space. Most think the donation is with it for the benefits received from the site and its tax deductible as TFP is a 501(c)(3) organization. Link is in my signature or at the top of the website. Thank you , I didn't know that. I will donate. Wish I had know about the test kit discount before buying this past weekend. Looking for input. Wife and I disagree (Imagine that!) on this design decision. The pool has a 18" raised BB on the back wall and the spa. We are putting stone on the raised wall part. I want to continue and wrap the stone around the spa wall, (pool facing ) so everything raised 18" is stone. She wants to do the waterline tile on the face of the spa where the water from the pool matches. So basically the spa face. Does that make sense? It comes down to how you want the profile of the back side of the pool to look. If you apply stone on the wall and the spa, do you like the profile that creates (i.e., a straight line becoming a curved line). If not, break up the shape of the back wall by tiling the spa. My preference would be to tile the spa because it separates the back wall of the pool from the spa and give you two distinct shapes, that of the back wall in stone and that of the spa in tile. Just a thought.... it's a lot easier to scrub waterline scale off tile than stone. and how rough is that stone? I've noticed that little kids like to hang out in the spa because it's shallower, but from time to time clamber over the wall to get in the pool. Having it the same will make the spa recede into the background. Having it tiled will accent it and make it stand out. Thanks for the above responses. They all make sense. What kind of tile????? Any BLING??? I'm stalled at gunite. Had 2 contractors flake. Negotiating now with the 3rd and forth. Couple of changes. We are looking at https://www.ontariopooltile.com/collections/glass-tile/products/ms-1285 something similar to this. Stone on the raised BB maybe like this https://www.ontariopooltile.com/collections/natural-stone/products/copy-of-rocky-mountain At this stage I think im going with poured in place coping and stamped concrete. 2 different shades of brown. Getting frustrated with the whole process. 2????? have flaked? Ah man! I have a sad for you I am hoping 3 or 4 will come through and fast! I like both of those! I like the coping when it is a different color than the decking. It really shows off the pool to me. Going to the tile store this weekend to finalize tile and rock. 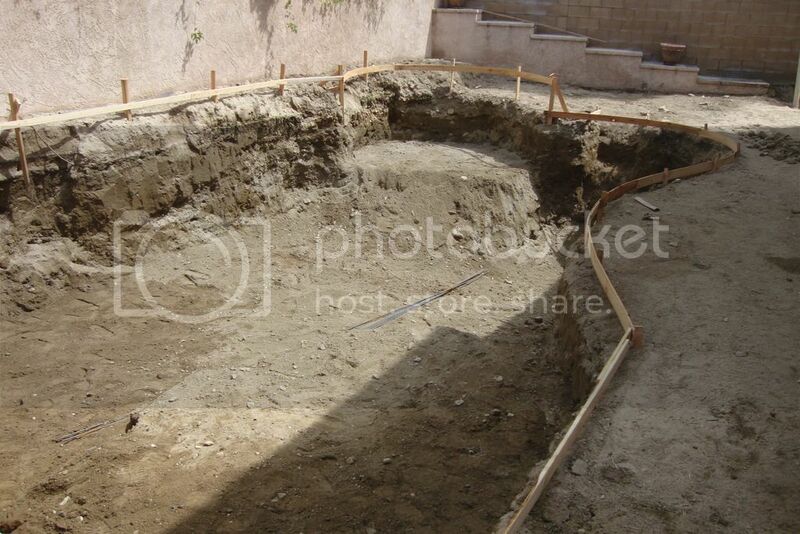 Planning new pool in SOCAL, need some advice, please!